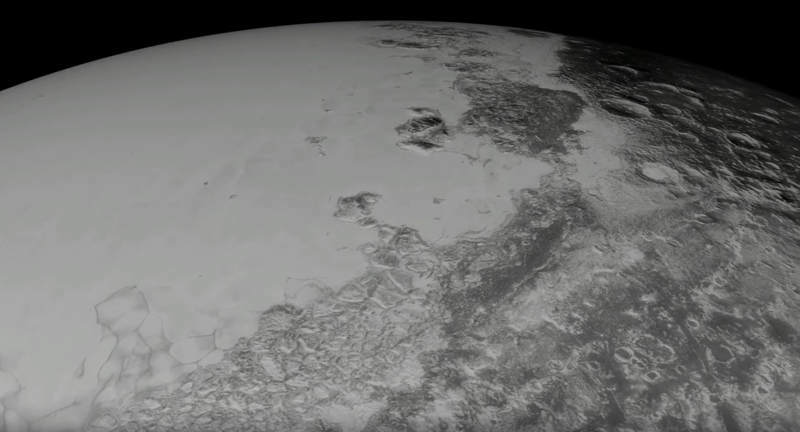 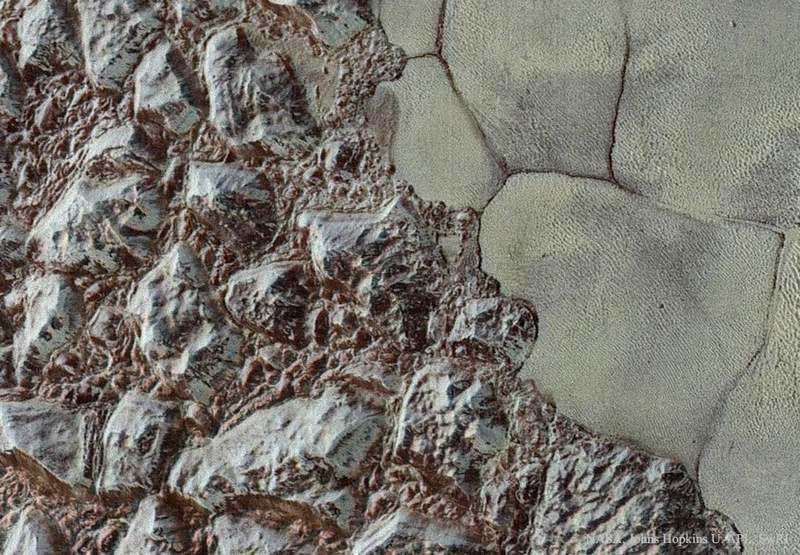 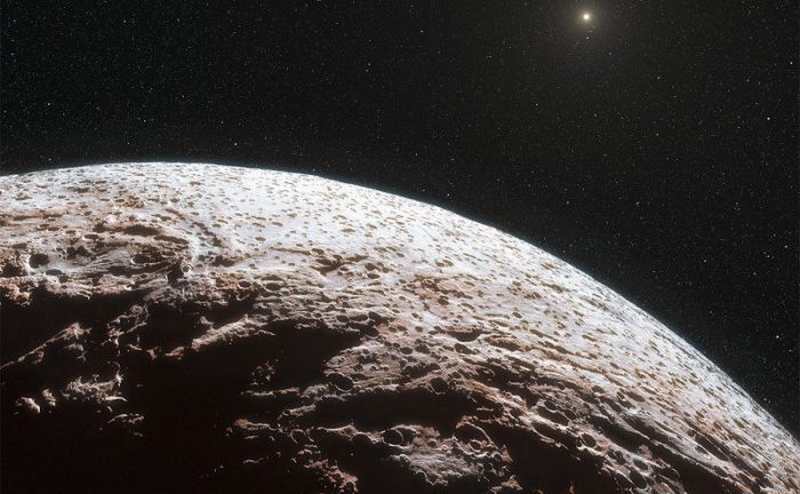 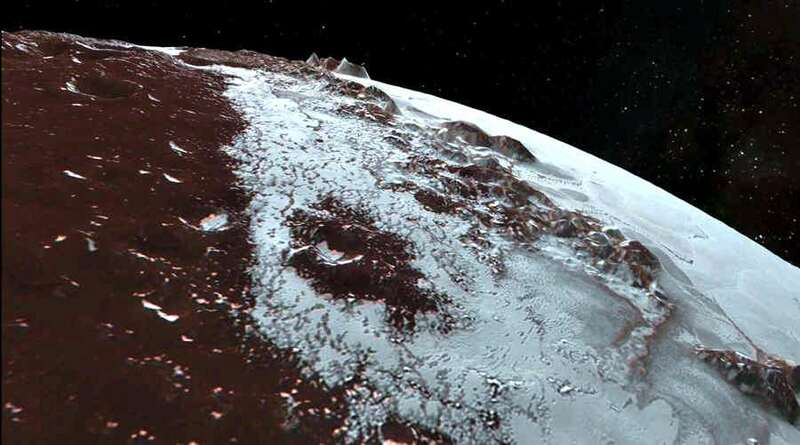 New amazing images from the New Horizons spacecraft reveal strange ‘pits’ and ice blocks on Pluto’s surface. 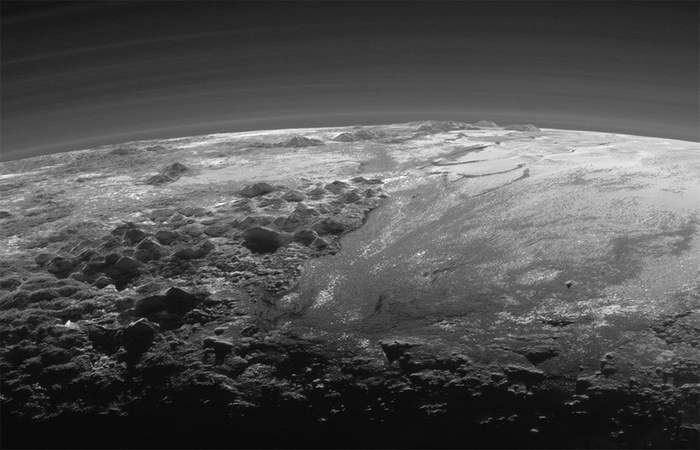 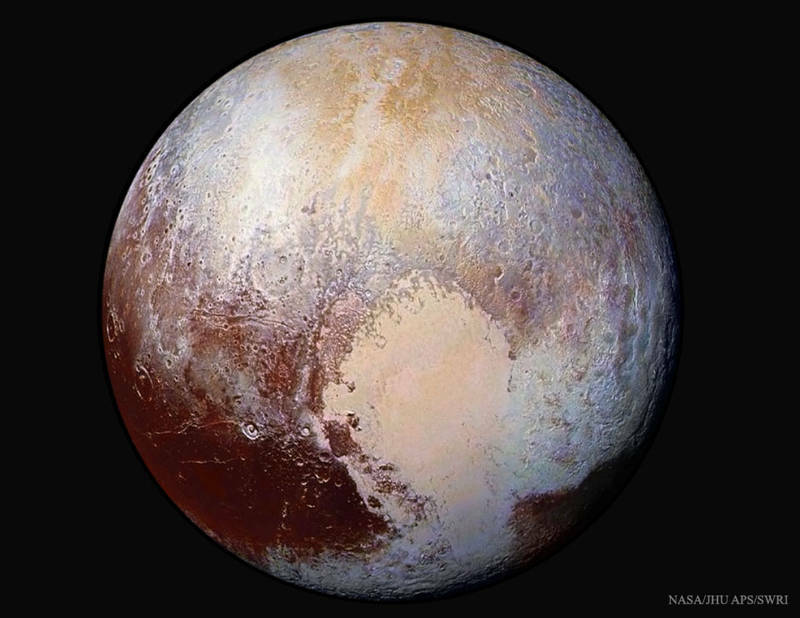 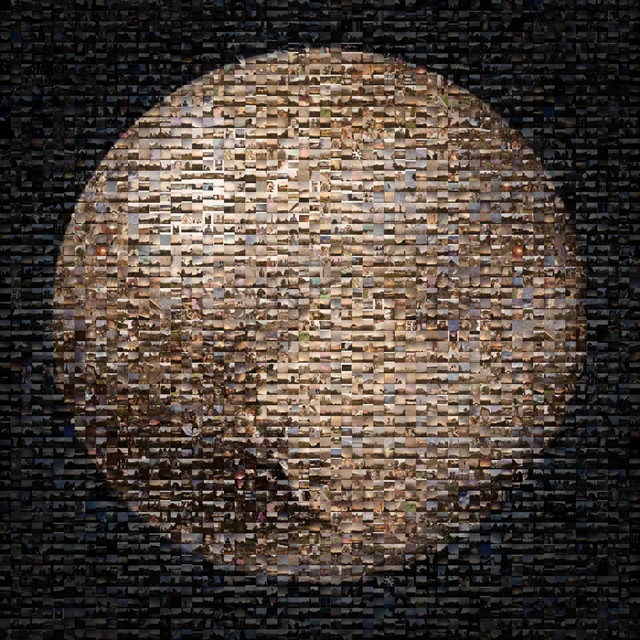 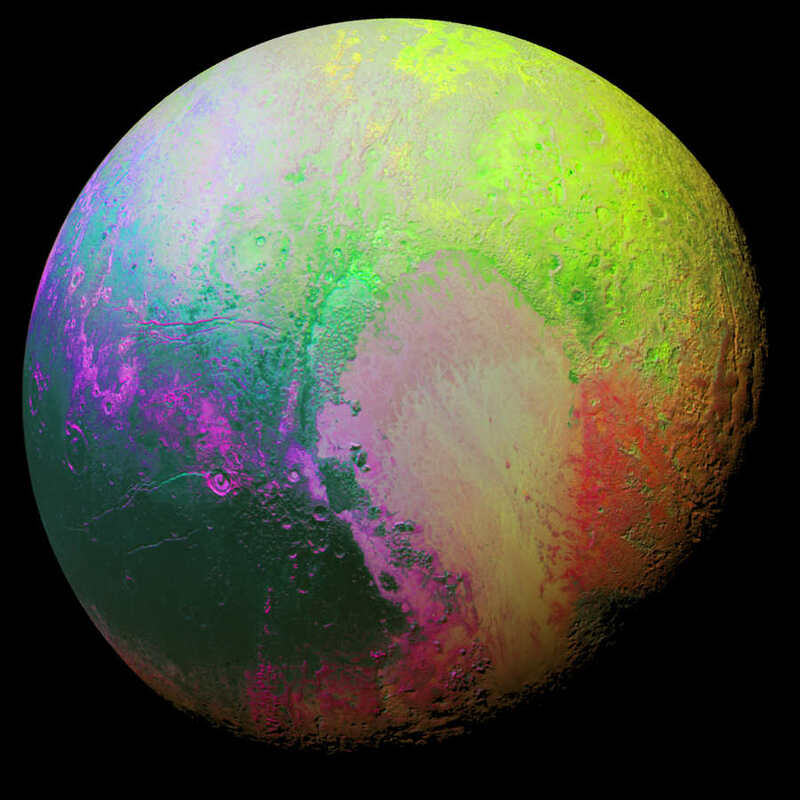 A computer-generated composite view of Pluto, filled with about 1,500 #PlutoTime images shared on social media. 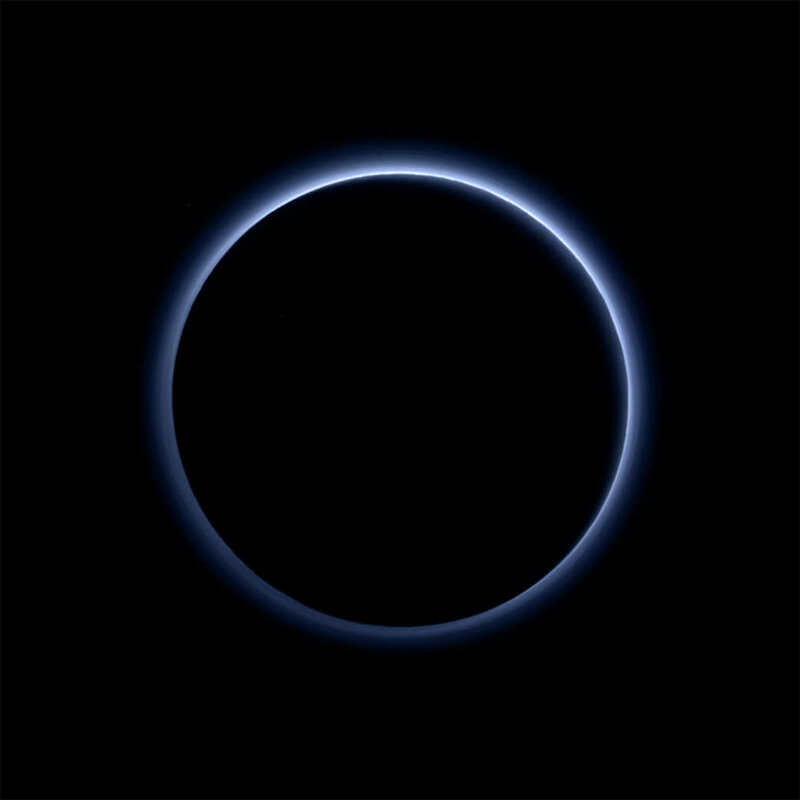 Pluto’s awesome haze layer shows its blue color, is thought to be similar in nature to that seen at Saturn’s moon Titan.